EL SEGUNDO, CA — At this time last year, the Los Angeles Kings were basking in the glory of their first Stanley Cup Championship in what was then the 45-year history of the franchise. The team raced through the playoffs, earning an astounding 16-4 record, including ten straight road victories, and they accomplished all that by staying healthy, and getting contributions from everyone in the lineup. But as the old saying goes, a team’s best players have to be their best players in order to achieve post-season success, and that is exactly what the Kings got from goaltender Jonathan Quick, defenseman Drew Doughty, and forwards Dustin Brown and Anze Kopitar. But one year later, the Boston Bruins and the Chicago Blackhawks are in the 2013 Stanley Cup Final, which begins tonight in Chicago. Indeed, the Kings failed to defend their Stanley Cup Championship after being eliminated in the Western Conference Final by the Blackhawks in five games, and in a more convincing fashion than the game scores may have indicated. In similar fashion to the 2012 Kings, this year’s Blackhawks team got contributions from more than just their top players, Corey Crawford was outstanding in goal, and they were healthy—all that was apparent during the Western Conference Final against the Kings. Although the Kings got outstanding goaltending from Quick (despite some soft goals, his numbers were still stellar), they struggled to score goals, and as suspected, they were a beaten up, banged up team. Indeed, this year’s playoffs were a grueling, physical grind for the Kings, nowhere near their run to the Stanley Cup Championship last season. Despite the fact that they were pretty badly banged up, the Kings steadfastly refused to use their injury status as an excuse. Lombardi pointed out that his team gutted things out during the playoffs, a concept his team has learned in recent years. Even though Lombardi declined to provide details in an interview on June 10, after losing Game 5 in Chicago, some of the Kings’ injuries began to see the light of day. Right wing Justin Williams revealed that he suffered a slightly separated shoulder when he was hit by San Jose Sharks defenseman Brad Stuart in the second round; Doughty suffered a sprained ankle against the Sharks; Jarret Stoll, who suffered a concussion early in the series against San Jose when he was hit by Sharks winger Raffi Torres, also suffered a separated shoulder from that hit; Richards suffered a concussion early in the third round against Chicago; defenseman Robyn Regher suffered an arm injury late in the regular season and underwent surgery to repair the problem on June 10; and Brown suffered a torn posterior cruciate ligament in his knee during Game 6 of the San Jose series. One point of discussion throughout the playoffs among the local media covering the Kings was whether or not Kopitar was suffering from an injury, either an aggravation of his existing knee injury (suffered while playing in Europe, just days before the end of National Hockey League lockout), or some other injury. During this season’s playoffs, Kopitar looked nothing like the player who was mostly unstoppable during the 2012 playoffs, when he scored eight goals and added twelve assists for twenty points, tying Brown for the league lead in playoff scoring. But in this year’s playoffs, although his defensive game remained strong, Kopitar’s offensive game almost completely disappeared, with just three goals and six assists for nine points in 18 games. Furthermore, it was not just the results where Kopitar’s game was lacking. Indeed, that explosive first step, the strength on the puck, the ability to protect the puck along the boards and in the corners—all were, rather shockingly, gone from his game. So apparent were the problems with Kopitar’s game that they led to the speculation that he was injured. It seemed to be the only fathomable explanation. In fact, the murmurs about him being injured continued throughout the playoffs. But once the Kings were eliminated from the post-season, Kopitar denied that he had suffered a “significant” injury. As for his knee, it’s better, not worse. He will not even need surgery. If he was not injured, how does he explain such a prolonged slump, one that began in late March, in which he scored just three goals in 34 games (16 regular season games and 18 playoff contests)? Brown’s injury, not to mention Williams and his separated shoulder, certainly didn’t help Kopitar with his struggles. Kopitar was not only frustrated with his slump, but he admitted that it weighed on him quite a bit. As mentioned earlier, Kopitar was virtually unstoppable during last season’s playoffs. He was a threat on every shift, he made his teammates better, he scored some highlight-reel goals, and he was just as effective in the defensive zone. Kopitar was, arguably, the best forward in the playoffs last season. 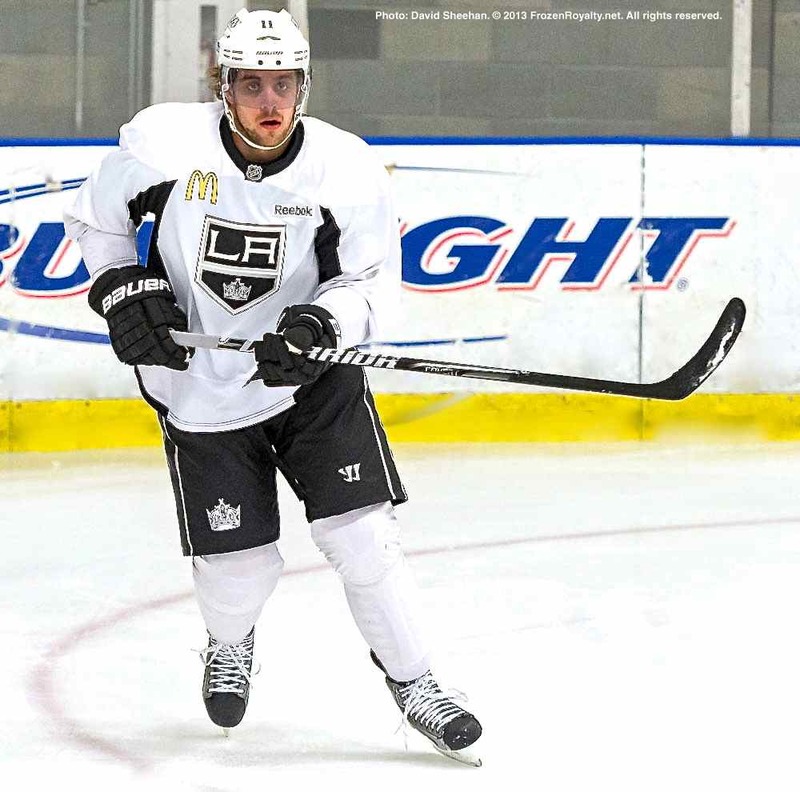 He had elevated his play during the 2012 playoffs so much that at the end of last year’s playoffs, there was a lot of talk, both locally and around the league, that Kopitar had earned admission into the NHL’s elite players club. But after such a long slump—it should be noted that Kopitar seems to have an extended scoring slump every season—after being a key reason that the Kings struggled mightily in every playoff series this season, and ultimately, losing in decisive fashion in the Western Conference Final, Kopitar showed that he is not one of the NHL’s elite. But even though Kopitar’s underwhelming playoff performance is anything but a high point in his NHL career, that does not mean he has gone off track—he could still end up at elite status, and it might not take him long to get there. Lombardi indicated that Kopitar simply didn’t handle the more focused attention he got from opposing teams well. Despite not dealing well with being a focal point for the opposition’s defensive efforts, Lombardi indicated that Kopitar is still learning and improving. “I’ve got the utmost faith that he’s going to think, ‘you know what? I realize what this is all about. If I’m going to be a top player in this league for a long time, that goes with the turf,’” Lombardi added. Lombardi also pointed out that Kopitar knows he has to improve, and not just for his own, personal reasons. 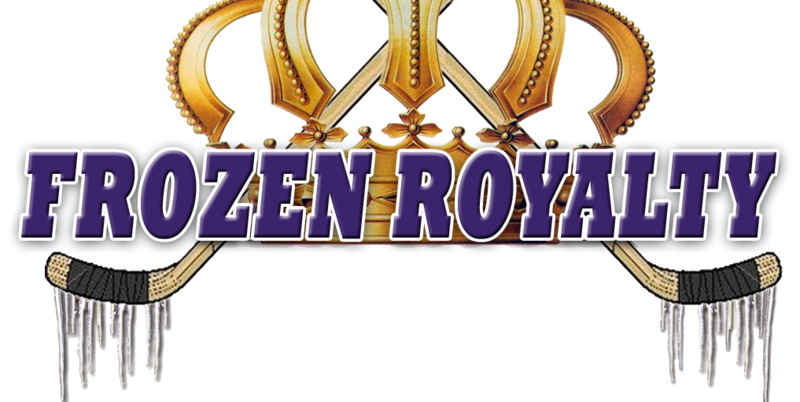 Stick tap to LA Kings Insider Jon Rosen, who contributed to this story. Wow this is stupid. Kopitar has produced the most points for us in how many seasons straight? While Carter, Williams, and Voynov had more points than him in playoffs, can you seriously say that any of them are better than Kopitar? No way! Every elite player has their slumps and his just happened at the wrong time. He’s already one of the best players in the NHL and will remain at the top his entire career. He is arguably the best 2 way forward already! Producing the most points for a team doesn’t make one an elite player, nor does the fact that a player is the best player on a team make him an elite player. Kopitar should’ve been a Selke finalist the last two seasons…he even got one of my Selke votes this season and last season, so I agree with you on that point. However, being considered for the Selke Trophy doesn’t automatically qualify a player for Elite status. Most would agree that Kopitar only reached elite status after last season’s Stanley Cup run, and even then, it was not a unanimous thing. And I’m sorry, but elite players don’t disappear for 34 games. That’s just too long a slump. It means that something else is going on, and LA Kings President/General Manager Dean Lombardi identified exactly what that is, as reported in the story. When Kopitar figures out that part of what it takes, only then will he become one of the NHL’s elite for good. Really, so Kopitar goes through a slump in the playoffs and he is no longer an elite player? Wow that is ignorant. Were was Crosby in the playoffs? Against the Bruins he was nowhere to be found and he is the Captain! Oh, I guess he joined Kopitar in the “Not an NHL Elite Player” anymore! The reason he “isn’t” an elite player is he is out in the West Coast. Look how long it took for Quick to get recognized! not because of his skill. Crosby is clearly one of the top three players in the NHL, and has earned that reputation by winning the Stanley Cup, and averaging 1.41 points per game in his NHL career. Kopitar has won the Cup too, but averages nearly half a point per game less than Crosby. Fact is, Crosby has earned the elite status. Kopitar hasn’t. Still seems to be on his way to that level, however. As much as I hate to admit it, I concur with this article. Sure every player goes through a slump from time to time, but every season? And for so many games? I would say, at his best, he is one of the elite players in the NHL. But until he plays that way with some consistency, it’s heard to mention him in the same breathe as the league’s elite players. Exactly. When he wants to be, Kopitar can be totally dominant. I think you completely underestimate Kopitar’s recovery from the knee injury. In his own words he stated “I am getting back to no discomfort” which in and of itself implies he’s played the entire season WITH discomfort. He never gave himself proper time to recover and thus his game suffered. We all know the player he is as we witnessed it last June. Give him the summer of rest and rehabiliitation and the Kopitar we all know will be back next season. Actually, his knee got stronger as the season progressed, enough that he no longer needs the brace. His knee got stronger as the season progressed? So what you are saying is he wasn’t 100%. I agree with your comment. He was not 100% but was getting stronger as the season progressed. I don’t think he’s reached 100% yet or he would have taken off the brace a while ago. He started well below 100% and gradually improved. That would explain his poor year to me. You can guess all you want, but the fact is he played well until late March, when his 34-game slump began. With Kopitar himself admitting that he had no significant injury during the playoffs, I can’t reach any other conclusion, other than the one Lombardi pointed out in the story. Based on that, I don’t think Kopitar qualifies as an elite NHL player just yet. Guys like Malkin, Crosby, Toews, Kane have all struggled this playoff season (Kane has done nothing with the exception of that one game he had a hat trick). Can we remove them from the elite list also? Using Crosby and Malkin as examples doesn’t help your argument. Both have much higher point per game averages than Kopitar, along with Hart, Calder, Art Ross, and several other honors that Kopitar doesn’t. I haven’t had a chance to review Toews’ career, but he too has achieved more than Kopitar has. Not sure Kane has reached elite status just yet.